Yep. They try to wear down the opposition. I think its also interesting that the other publications mentioned highlight the less important EENER meeting while ignoring the building moratorium on the agenda for Tuesday. Once again, we are shown the forces arrayed against us. The developers have willing dupes running interference for them. If we don't have a water crisis why did the city just hire a water consultant for $50,000? One that specializes in water borne diseases, by the way. Why do we need a Director of Over-Development in a town that wants to preserve its way of life. That position should be done away with. I think at the very least, a name change is in order. But to have a "Director of Development" does give not only the wrong impression to developers, it also seems to give the wrong impression to the person in charge of that department who is push for projects like The Kensington, One Carter, Stonehouse and Mater Dolorosa. The Sierra Madre Weekly could really take advantage of the fact that the Mountain Views News takes editorial positions that are contrary to the vast majority of residents. Unfortunately for the miniscule staff working there they have to put out something like eight different city papers every week. It makes concentrating on just Sierra Madre difficult. Cambria has the limitation on getting a water meter so that's how they got around the artificial 2-year limitation. How does your water crises suddenly end after two years. It makes no sense but that's par for the course. Its no surprise that City Hall is working at cross-purposes to what the residents want. They don't live in the city. They often float their resume out to other cities ready to jump ship to the first city that pays them more money. They want to pad their resume with "projects" like The Keninsgton, One Carter, Stonehouse and Mater Dolorosa that reached fruition under their "leadership". Meanwhile, the residents are permanently stuck with the consequences. We have to endure the noise and dust from a lengthy construction project. Nearby residents get their views blocked. The whole town gets increased traffic, congestion and pollution. Eventually, we need traffic lights and parking meters. We get a permanent connection to the MWD connection with its toxic, yellow and more expensive water that is unfit to drink and kills fish and perhaps eventually kills humans. The willdlife and open space is gone forever. For what? So that the developer can reap a big profit and then move on to the next community that they will bulldoze to get their way. City Hall gets more revenues to fund increaes to salaries and pensions. People need to say enough is enough. Sierra Madre won't be ruined all at once. It will start with one project at a time - each one of which won't break the camels back. However, the accumulation of which ten years down the road will make Sierra Madre unrecognizable to us. I'm glad the Tattler is able to see through some of the trickery that does on. Council Members are supposed to represent us. City Hall employees are supposed to work for us. Instead they are often working against us. The Townies need to see through all this and realize things are not always what they seem and usually done a certain way for a reason. Putting the most important issue facing this town at the bottom of the agenda is a case in point. Harabedian must think the Townies go to bed early and he won't have to endure our comments. Well, he's got another thing coming. Our town will be undermined by naked greed. That's all it comes down to. Certain people are looking out for themselves and looking at their short-term gain. Most residents don't realize that unless we stop things now or severely curtail the recent trends, its only a matter of time before we won't notice any change as we enter Sierra Madre from Arcadia. It will all look the same. What will keep our property values up is to limit the supply and retain the uniqueness that makes Sierra Madre different from all the other over-developed cities in the San Gabriel Valley. Look at Pasadena. Recently, there was an article about Fuller Seminary selling off some land to a developer who proposes hundreds of additional apartment units. I have to drive through Pasadena on my way home. You simply can't punch through. Does anyone care about the gridlock or does it happen so incrementally that people just get used to it. Kind of like the 210 Freeway. As recently as 10 or 15 years ago, it was a pleasure to drive. Now its just like any other freeway. If ten years ago, we could have instantly seen what it would be like 10 years down the road, people would have been up in arms at the shock of it all. But it happens, just one more car at a time. That's what will happen to Sierra Madre. The change will occur one house at a time with occasional faster changes like will occur with Mater Dolorosa. Then Sierra Madre becomes just another town like all the others. Its the same old story. You have to wonder what motivates some of these people who do live in the town just like we do. Do they not like the town? Do they like congestion? Do they stand to profit from over-development? I sincerely would like to understand their motivation. Its too bad Rachel Arizmendi won't be at the meeting but still important to be there and let them know you won't put up with this any more. Incompetence, malfeasance and chicanary, may not be as harmful with smaller issues, but it doesn't get any bigger than running out of water and increasing the density of our town. Harabedian ran as a lifelong supporter of slow growth. Once elected we got Johnny Process the development enabler. John Capoccia ran as the great tax fighter. Once elected he never saw a tax, rate or fee increase he did not like. What is it about City Hall that works its evil magic on people? It becomes a club and in order to remain chummy with all the people, you go along to get along and just follow the tide. People need to speak up, take action and get involved!!!!! Its our city, don't let them do this to us like they did to other cities!!!! That is a club you'd need to have no life whatsoever to want to join. Neither of them had the strength to stand up for what was right. That is very sad. And not just for them. heck we elect a reverse mortgage salesman and expect him to be slow growth? Q) Are we not men? We need to recall Capoccia. He's what Charlie Christ is to Florida politics. #8. 'Building Moratorium and Other alternatives in response to drought conditions'. I hope the very first public comment at the beginning of the meeting asks the Mayor why this item was scheduled for the end. Everybody knows this is the most important issue for the town. But the Mayor puts developers first, residents last. Let's call it now: Mayor Johnny has already sold out Sierra Madre for 30 pieces of silver. And a ticket to ride the gravy train at our expense. And btw, what other alternatives have they found? Dowsing rods? Is it too late to get some t-shirts made for the meeting? "Sierra Madre: All-Development City of the Foothills"
"Don't be Dense: Save our village " or "Density is Destiny" ... maybe there should be a contest. 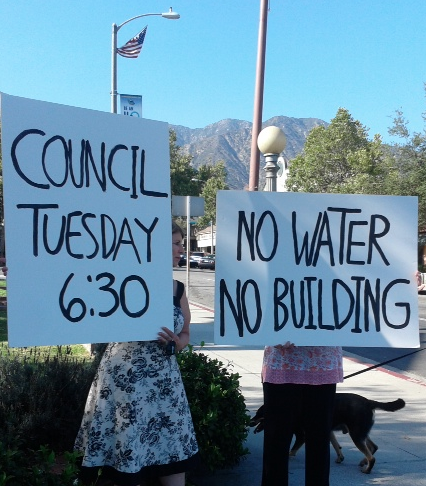 We are unable to attend the June 24 Council meeting and write to express our strong support for both a building moratorium and a moratorium on new or additional water service connections. While a building moratorium may be limited under state law to a defined period of time, a moratorium on new or additional water service connections has no time limit while a water shortage emergency exists. Implementing both moratoriums would make clear the Council understands the current extraordinary water shortage. Moreover, given that: (1) the City expects to have used its purchased MWD water by March 2015 with existing demand, (2) the City has NO guarantee of any further allocation from MWD, and (3) our groundwater levels are at all-time lows, allowing any new development now would be grossly irresponsible. We and our fellow Sierra Madre residents have made diligent, difficult and often expensive efforts to conserve water. But we cannot make it rain. Neither can the Council, but you can take prompt and responsible action to address this extraordinary drought. Please implement both a building moratorium and a water service connection moratorium as soon as possible. There is no water shortage because the City gets its water from the MWD and it is false to say the MWD won't continue to sell the city water. This isn't going to work. The only thing that will work is a Growth Management Ordinance limiting growth at 0.5% and requiring all new projects with 5 or more units to have 40% senior affordable units. The drought is not over, 9:36. Where will MWD get the water to sell us? The Gov. 's water bond and water tunnel? Not exactly a sure thing. We should not be allowing any new growth in the near future, limited, managed or otherwise. There will be no stopping it. I like what 9:07 has written. Why not use all the options we can to prevent disaster for our town? It sounds like you're already surrendering to Team MacMansion. Are you sure that stuff we get from the MWD is actual water? I thought it might be some kind of chemical stew. The MWD connection has not been a viable solution. The water is toxic. We have a special Culligan Water filter on a separate tap for our drinking water. My wife refuses to use it anymore so she drinks bottled water and uses that for cooking also. I still drink the filtered water and maybe that explains my heatlh problems. Sadly, One Carter has already been approved, to the lasting discredit of John Buchanan, Enid Joffe, Rob Stockly and Tonya Torres. I wonder if there's any way to force them to use grey water for dust control. The city hall line about grey water is that because it has to be trucked in, there is more pollution caused than its worth. Of course, this brings wildly enthusiastic agreement from developers, who don't want to pay the additional expense. What about collecting all the water that is flushed out City hydrants? So wasteful. They could use it to water the lawn at City Hall. The poor grass there could use a little moisture. All the lots at 1 Carter have meters already. That ship has sailed. Who knows, maybe all those meters will ever end up counting is air. How can five bathrooms be justified? There are water meters for the landscaping, but is that the same thing as the very complex water needs to service so many bathrooms? The city hall lawn is being allowed to die so a draught tolerant garden can be planted instead. I am draught tolerant, though I can drink it out of a can as well. Councilmember Arizmendi must participate via conference call. If the City Manager has not made provision for her to do this then all of you must demand the postponement of the meeting until the next possible date. This had to have been done with public notice so that anywhere she happens to be the "public" can show up and participate at that site, too!!!!!! Buried in Highsmith's Staff Report -where Council can claim they did not see it -is a clear statement that -Yes, you can have a Building Moratorium as long as the Water Emergency lasts. So do not let anyone vote against the Moratorium because it would not be legal. It would be legal and that is in the City Attorney's own written report. Conveniently obscure enough to be a fig leaf for both the City Attorney and Council Members who choose to ignore the Report. It is all about the money. Everything else is crowd control. Money for nothin and chicks for free"
so you better treat her right"
If the city doesn't start playing nice we'll just have to take away the rest of the uut. See how they like those potatoes. I read this quote in a magazine. Its from someone in Singapore who is relating the problem with our government today (and this applies to Sierra Madre): "Western Democracy is a never-ending auction wherby votes are purchased with debts to be paid off in the future by coming generations." Doesn't that describe how some members of our City Council get elected. They then shaft the residents when they payback the special interests for voting for them. Its done with our money and at our expense. That applies at every level of government today. This is our best opportunity right now to take control of our city. 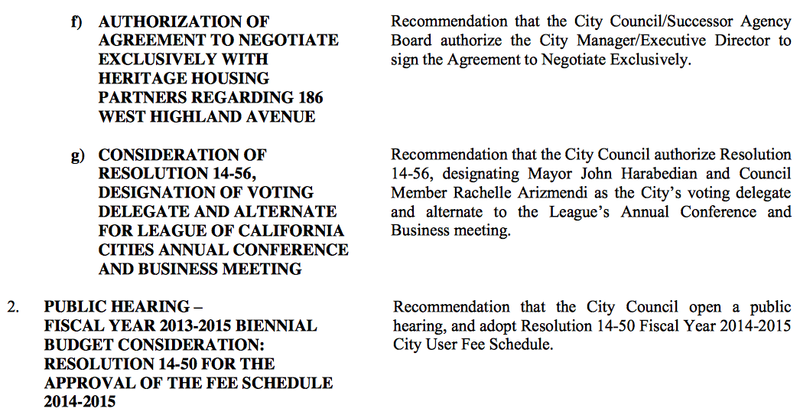 We have three new council members that seem to want to do the right thing. They haven't had time to join the "club" yet. If there was ever a time to preserve our city, its right now!!!! I sure hope people will step to the plate. Sierra Madre is at a cross-roads right now. I hope we take the right fork. Maybe I drank too much flavored water at dinner tonight, but I was looking through the Tattler's archives and saw that blog readership in China is growing faster than wisteria in the springtime. 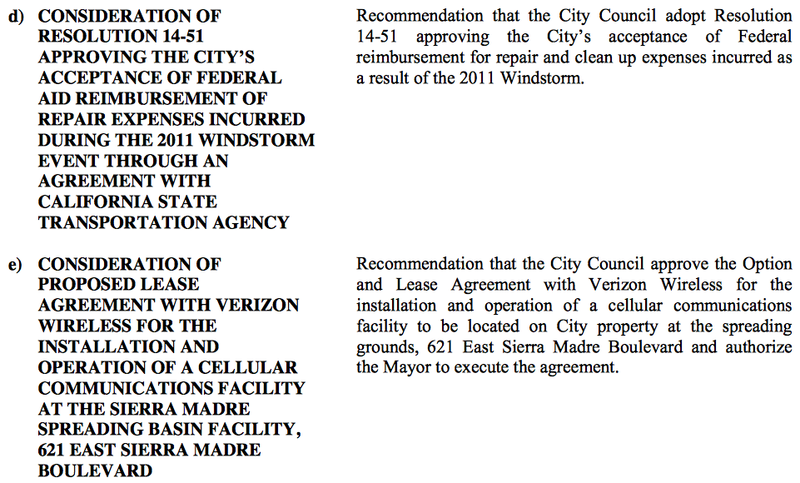 And I was thinking, isn't it funny that agenda item 8 is about the moratorium on McMansions in town. And isn't it funny that the number of acres sold by Mater Dolorosa is 88. I believe some people think that 8 is a very lucky number. I wonder if they'll turn out to be right.